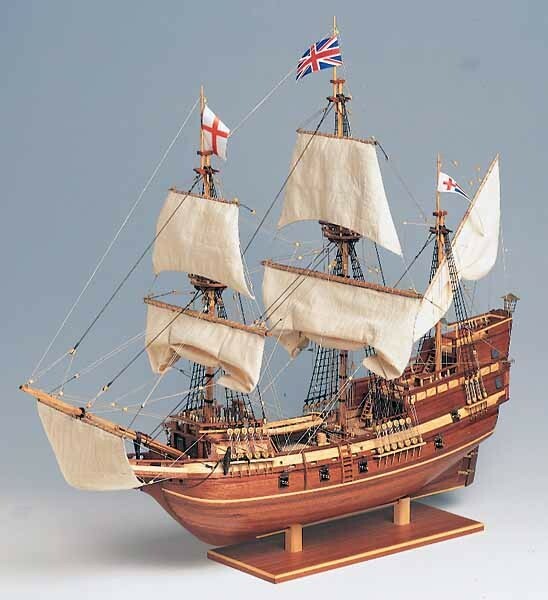 MAYFLOWER – In 1620 the Mayflower set sail from the English port of Southampton with 102 pilgrims on board. 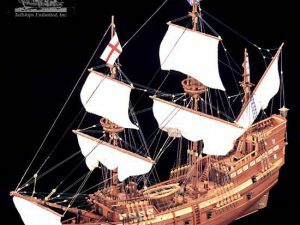 The crossing took 77 days and on December 21st the ship landed at what is now known as Plymouth, Massachusetts. 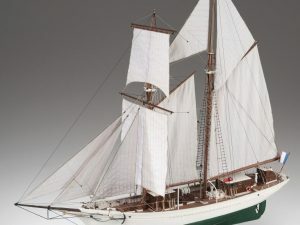 The hull is double planked in beechwood and mahogany and features pre-cut wooden parts. 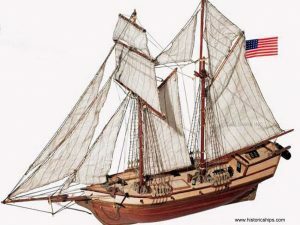 Ready to use blocks, deadeyes, belaying pins, barrels and longboat are made of fine hardwoods. 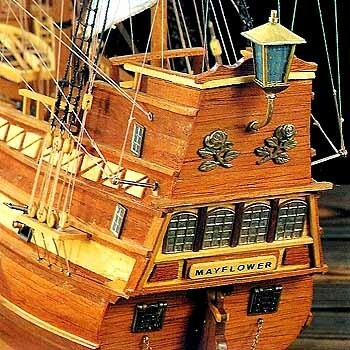 Other fittings for the Mayflower include machine turned brass cannon, cast metal anchors and cabin doors, brass eyebolts and decorative pieces. 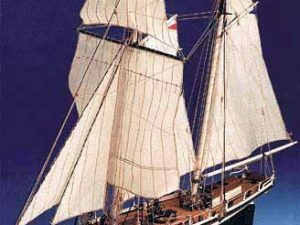 Three sizes of rigging line, pre-printed sails, silk-screened flags and a wooden display board complete the kit. 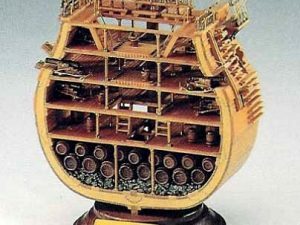 Full sized plans and detailed instruction book lead you through each phase of construction.